New Magic Flight Power Adapter 2.1 Coming Soon! The Magic-Flight Power Adapter 2.0 replaces your need for batteries and is an inexhaustible power source when plugged in at home or in your car with the included car adapter. It delivers steady power for perfect and consistent sessions with your Launch Box every time. The built-in power dial gives you complete control over your vaporizing experience by allowing you to use your Box with a wide variety of temperature settings. It can function at cooler temperatures for your herbal blends and hotter temperatures for vaporizing with your Water Pipe Whip and Magic Flight Concentrate Trays. 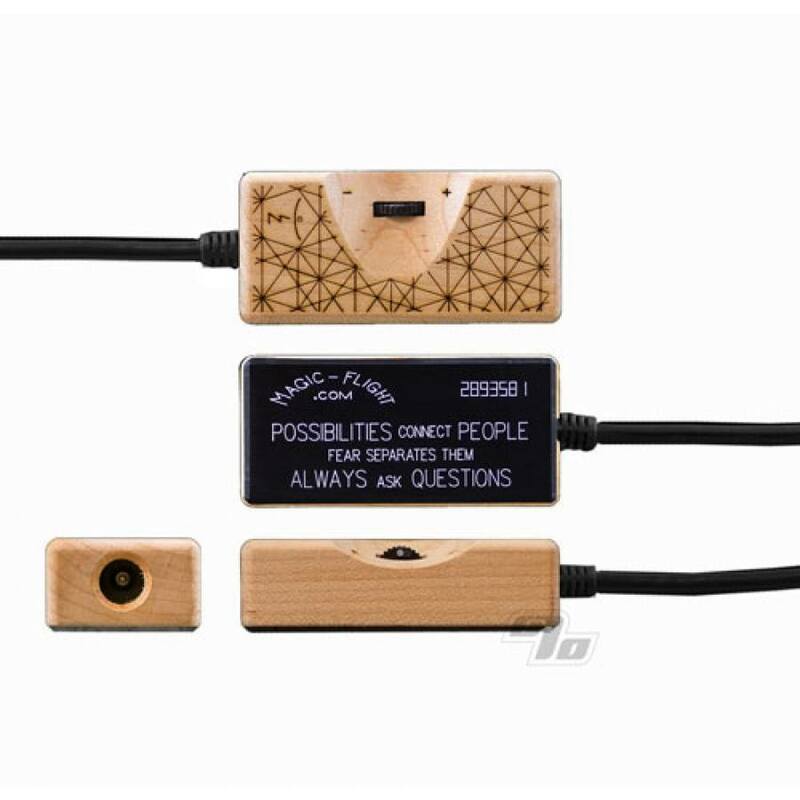 The new banana plug battery design fits snugly into any generation of the Launch Box and ensures a dependable connection that stays in once inserted. Power is engaged to your Launch Box through an easy-to-press button located on the end of the battery adapter making vaporizing with your Launch Box easier than ever. The PA 2.0 is hand crafted from Maple wood that has been cut, sanded, and stained by the talented artisans at Magic-Flight. The slimmer, sleeker, and lighter-weight design also features a unique sacred geometry laser etching, and a new aphorism to ponder and explore. 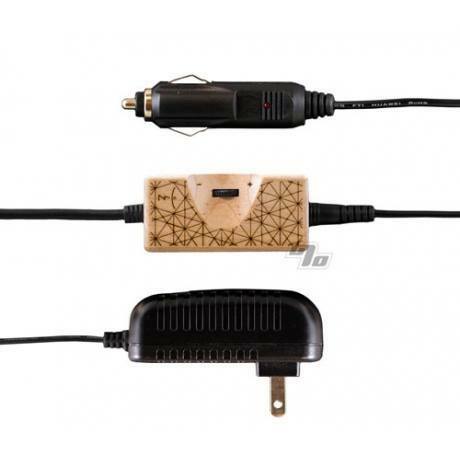 The Power Adapter 2.0 carries Magic-Flight's Lifetime Functional Warranty. If you ever have an issue with your Power Adapter, or if it ever stops functioning, you will receive the personal care and attention of the Magic-Flight family of expert consultants. They will walk you through simple troubleshooting techniques, and if necessary, will replace your PA with a fully functional unit. 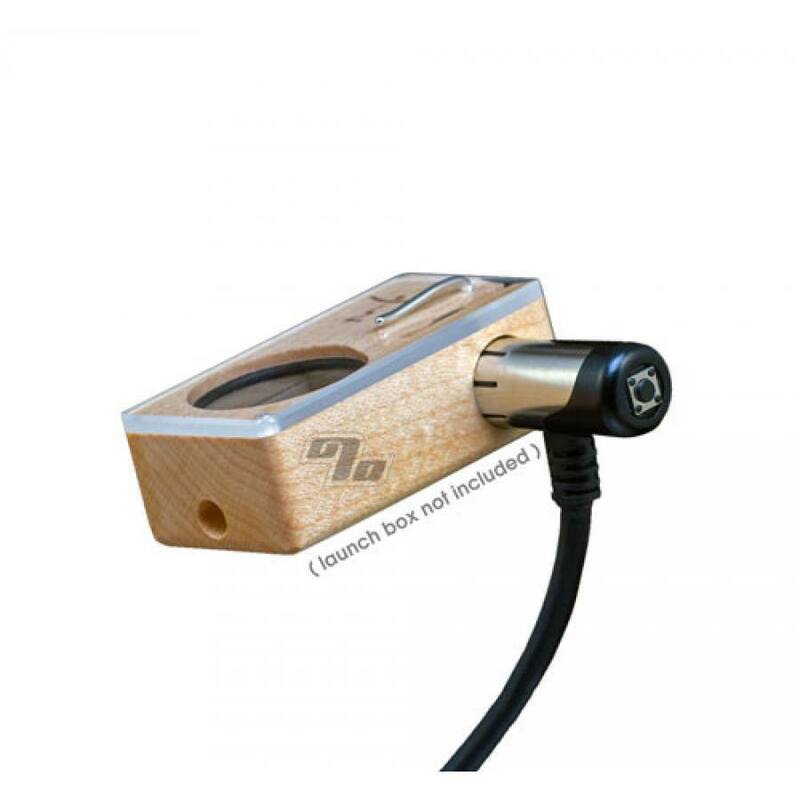 This is a must have for any MFLB owner. Completely changed my view on the bow. Pick up a finishing grinder as well. Great product for in-home use.